ANSYS is a software suite designed to provide real world engineering simulation across a variety of physics foundations. This simulation-focused product development alongside incredible scalability is what sets ANSYS apart from other competing software tools. 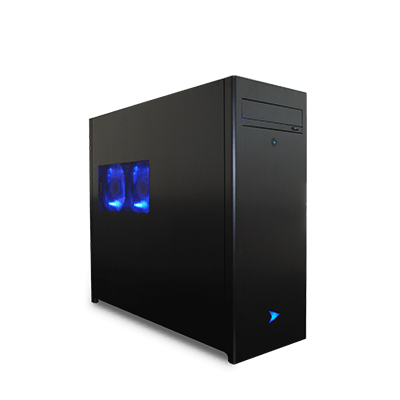 But without a workstation PC powerful enough to handle this powerful simulation software, you’ll never be able to tap into its full potential. At Velocity Micro, we’ve been building powerful workstations optimized for programs like ANSYS since day one. Whether your focus is on computational fluid dynamics, structural analysis, electromagnetic, 3D design, or any other platform, our ultra-performance workstations will reduce wait times and improve interactivity in your workflow to make you more productive. Choose an option below to get started or contact our team for assistance. ANSYS licenses are sold based on computational cores. This means if you purchase a 12-core workstation to pair with your 8-core license, you’ve overpaid for cores you can’t use. The first step then is determining what your current and future ANSYS needs will be, then configuring a workstation around those. 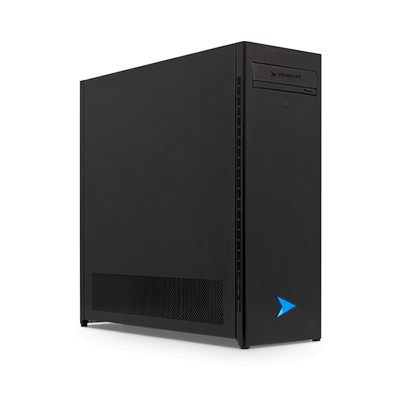 Velocity Micro workstations range from 6 processing cores to 48+. 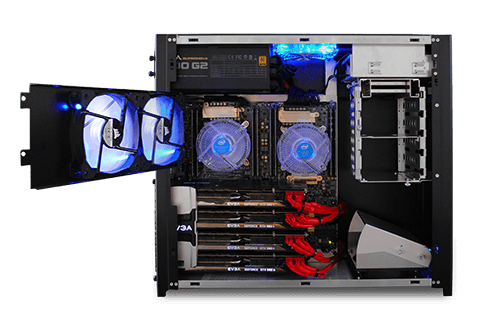 We use only the very latest retail grade components in our workstations optimized for ANSYS. Each component in our online configurator has been chosen by our expert engineering team for maximum performance and the utmost reliability, ensuring that your hardware never gets in the way of your design.